Poets, grab your works-in-progress and bring them along to be examined by an expert. Sound scary? Good – because we’re looking to push you Outside your comfort zone with Anne Kellas this September 24. 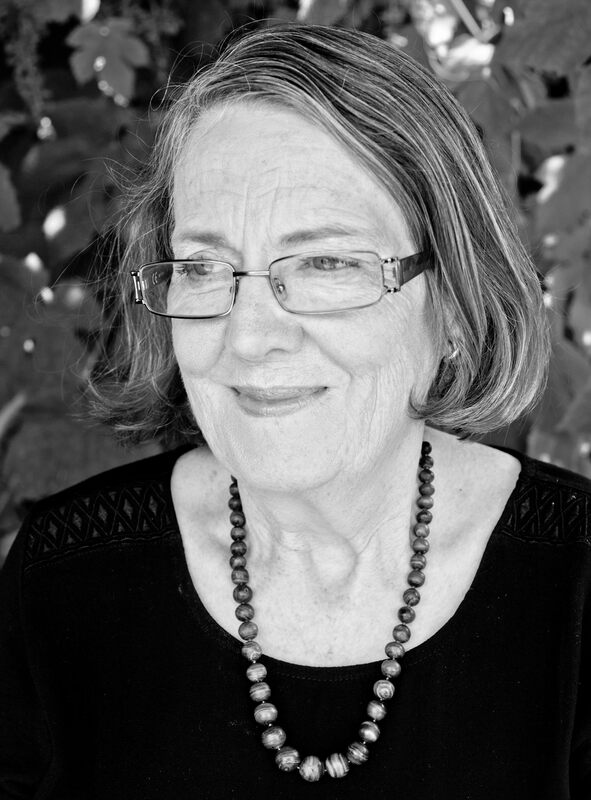 Her Launceston masterclass is designed for experienced poets to venture into the unknown, and explore new ways to engage with poetry. 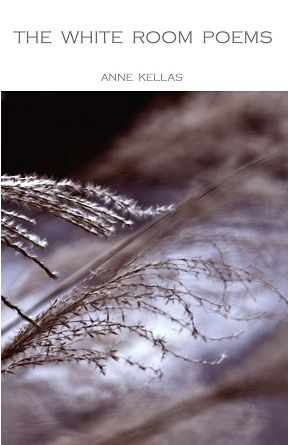 Anne Kellas is Hobart writer and teacher of poetry – and has been for the past 25 years. In 2014 and 2015, she lectured in poetry at the University of Tasmania. Her most recent collection is The White Room Poems (Walleah Press, 2015). Her upcoming masterclass is a prelude to the Tasmanian Poetry Festival, which kicks off September 30. I love the name of this event: Outside your comfort zone. When as a writer did you feel most outside your comfort zone? The title reminds me how writing poetry takes us away from the everyday world to another way of being. To me, making that transition means going to the edge of one’s comfort zone, where we sometimes have to sit for a while until we get into the flow. If you ride it out, then something changes. Brett Whitely spoke about sitting down to paint as ‘the start of difficult pleasure’, and that’s always seemed to me to apply to writing poetry. To me, being ‘out of your comfort zone’ as a poet relates to three things: the writing itself, the writer’s self, and the writing world. We can so easily disengage from our own work because of any of these. However it’s the first that interests me – the writing itself, how we shift gears in the first place to get the actual writing done or into a new phase if we are stuck. What interests me most is the creative process of (re)writing as ‘re-envisioning’: are we really ‘seeing’ our own poetry? Why is it important for us to break the flow of our writing lives and jump in the deep end with these sorts of workshops? It’s good to have a clear sense of what you want to get from a workshop, in terms of having a problem to solve or a desire to develop an aspect of your own work. Mine appeals to those who feel they’re at a particular junction in their writing lives, where there’s a threshold of frustration or a sense that something needs to play out differently or maybe even a sense of wanting to throw in the towel. Workshops, for all their faults, can be handy when our writing lives are eddying a bit rather than flowing, when we feel stale, or when we know there are obstacles to overcome. Or when we are just plain curious – which is always a good way to be. How can writers balance the use of poetry as a form of expression (whether observational, critical, reflective, emotional) and the incorporation of formal structure and technique? The two are bound up with each other: expression and structure, and expression and technique. Form and content. Whether or not you write free form or formal verse, a structuring principle needs to be at play. You can’t just write to express yourself and end up with a good poem unless you apply some structuring principle, or patterning of some kind. As for technique, that is something you learn by practice, imitation, reading, or experimentation, until you evolve your own way of writing poetry. Knowing the rules means you can play around with them. I don’t think technique should get in the way; for me, it has to be subtle and not showy. The ‘art that disguises art’ is probably what I would aim for. Having written and taught poetry for more than two decades here, have you found there is an underlying current regarding theme or style among Hobart writers? Ah, I could generalise dangerously! It’s inevitable that certain themes would recur in Tasmanian poetry, as they do in Tasmanian painting. We are all influenced by this island’s tragic history, its unique landscape, its precarious environmental issues and its exposure to climate change. But these things don’t make Hobart poetry ‘different’. I’ve just reread an article in a 2008 issue of Five Bells, in which David McCooey said ‘a new lyricism’ defines Australian poetry regardless of its themes. Serendipitously, I’d happened to recently call my own work ‘abstract lyric’, and Pete Hay speaks his own ‘ambivalent lyricism’ in his new book published in the UK, which is testimony to our themes being relevant world-wide. At the moment, it’s hard to say what Tasmanian poetry is and isn’t doing. We might lack a satirical and more eccentric style of poetry here, but I can’t say that with certainty, as I haven’t read much work by younger Tasmanian poets. Sadly, since famous reporter and Blue Giraffe closed their doors, there are now no small magazines here to showcase their work, apart from that wonderful tiny creature Picton Grange, and the online magazine Communion. While Island is Hobart-based, it sets its sails beyond Bass Strait most of the time. Your workshop is a prelude to the Tasmanian Poetry Festival. How can we best consume poetry? Should we attend live poetry nights to hear the writers’ voice; should we indulge in written poetry alone, or share it aloud with another? As long as there are readers of poetry, all will be well in the world! Consume it whichever way brings you joy: alone, over the breakfast table…I don’t believe in the need for a high seriousness about poetry. A century ago, everyone carried poems around in their pockets to share with friends. The biggest problem we have at present is that poetry is rapidly vanishing from the curriculum in our schools and universities. Too often, teachers are afraid of teaching it, and when they do so, they sometimes hammer the hell out of a poem and wreck the joy of reading it forever. In the case of children, let them read poetry by themselves. There’s no need to treat it like a high art form and do to poetry what we have done to mathematics by suggesting it is hard. Keep it that simple. Spoken word events are increasingly happening, and an underground movement of new creativity will reinvigorate the poetry scene here – eventually. Which leads me to a final point. Holding regular writers’ festivals in Tasmania is vital to inspire us and to help writing to flourish here. The Tasmanian Poetry Festival is a treasure – for both readers and writers! How can poets prepare for your workshop? Write something new and something old, work you have been doing battle with. Bring drafts of unfinished poems or completed poems that you feel don’t work. Ideally bring the first drafts of those same poems. I will provide material for your ongoing use after the workshop. I would like to thank the Tasmanian Writers Centre for the invitation to hold this masterclass, and to thank the Tasmanian Poetry Festival for mentioning it in their program. I am greatly looking forward to the events! Book your tickets online to Outside your comfort zone, with Anne Kellas in Launceston, September 24. The workshop is a prelude to the Tasmanian Poetry Festival from September 30-October 2.